Special Memories butterfly trinket box. 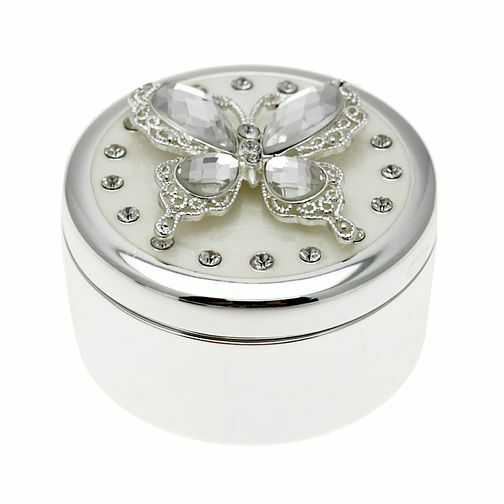 This trinket box features a delicate butterfly design and stone set edging. Butterfly Trinket Box is rated 5.0 out of 5 by 1. Rated 5 out of 5 by Anonymous from Lovely Trinket Box This is very pretty and looks lovely in my bedroom.